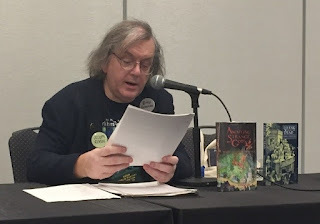 Darrell Schweitzer reads soon to be published "Girl in the Attic"
Shown at top is a reading from Darrell of his soon to be published weird fiction "Girl in the Attic" (to be included in S T Joshi's Black Wings). His dark humor percolated through his fear of the Pocono ridge lines. 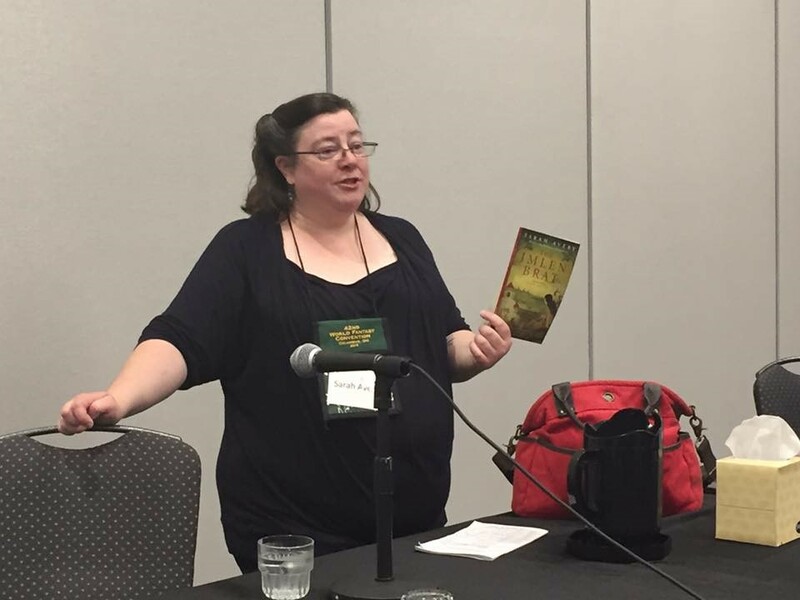 Very grateful to Darrell Schweitzer for the opportunity to participate in the panels and to have so much time chatting-about/listening-to weird fiction. 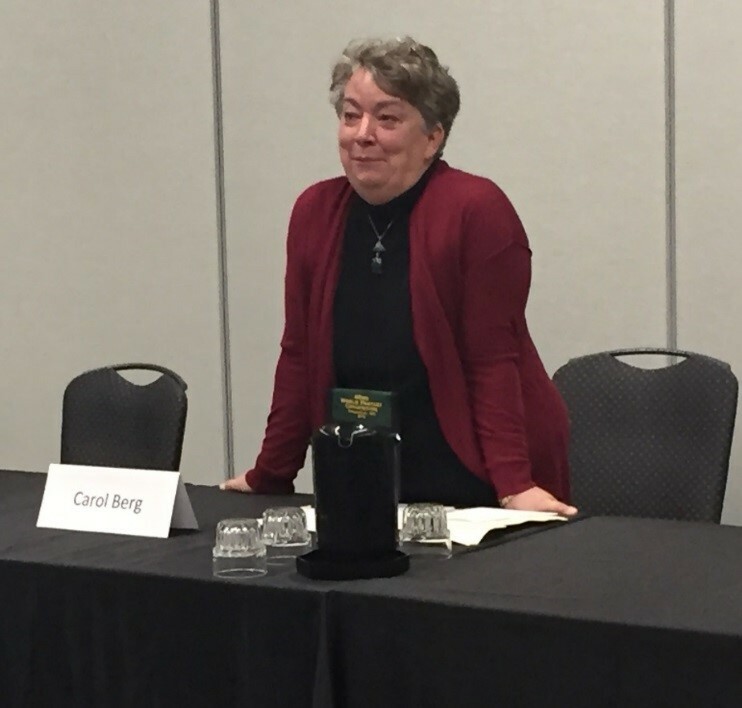 I also really enjoyed listening to Carol Berg present her WIP "Chimera"; she attended the Writer-Artist panel and Brenda Carr introduced me to her. Had a great discussion on engineering and writing. 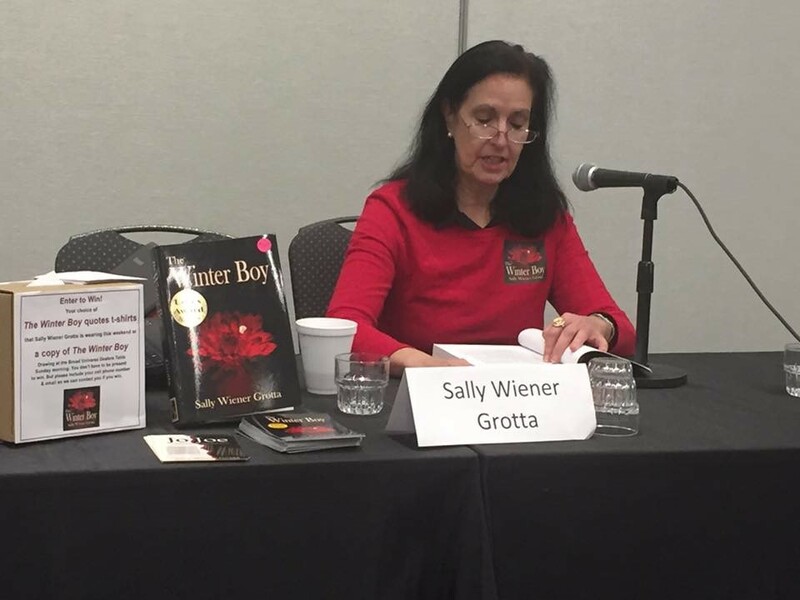 Also enjoyed hearing Sally Grotta read her WIP "Dream a Little World" which is a captivating adventure in which people can make their dreams "real." 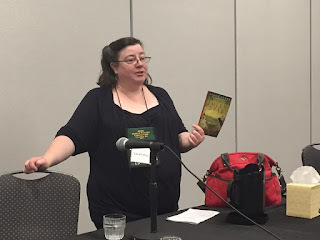 Also got to listen to Sarah Avery read from her Imlen Brat (a book brought to life via Kickstarter which I had backed); Sarah has links to Black Gate magazine, having work appearing in the last issue #15. A great experience to listen to accomplished, professional writers. All very friendly and inspiring. 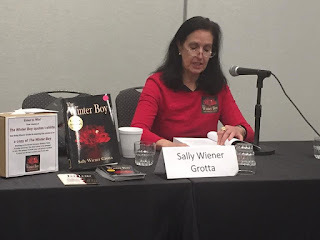 Carol Berg read WIP "Chimera"
Sally Grotta reads WIP "Dream a Little World"